ItemI-57426 - "Fort George Canyon". ItemI-57427 - "Canoe Canyon, Fort George Canyon". ItemI-57428 - Fort George from top of bank. ItemI-57429 - "Soda Creek Canyon, Fraser River; George V. Copley". ItemI-57584 - Colt at Dr. Jones' ranch. ItemI-57585 - Stud at Dr. Jones' ranch. ItemI-57586 - Fraser Valley near junction with Chilcotin River. ItemI-57587 - The Fraser River at Chimney Creek, Cariboo. ItemI-57588 - Canyon at Chimney Creek, Fraser River, Cariboo. 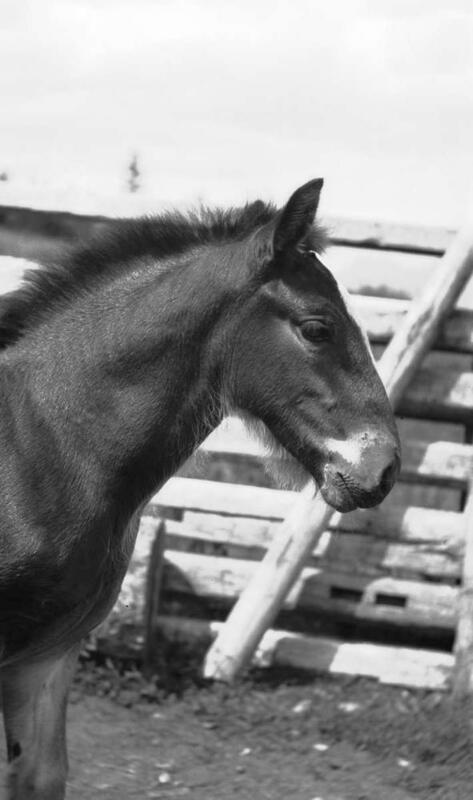 Item I-57584 - Colt at Dr. Jones' ranch.